Howards End is a beautifully subtle tale of two very different families brought together by an unusual event. The Schlegels are intellectuals, devotees of art and literature. The Wilcoxes are practical and materialistic, leading lives of "telegrams and anger". 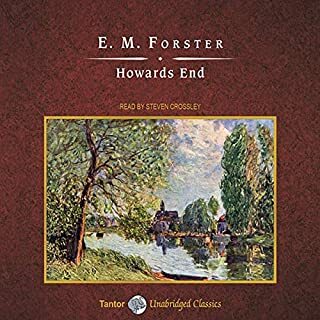 When the elder Mrs. Wilcox dies and her family discovers she has left their country home - Howards End - to one of the Schlegel sisters, a crisis between the two families is precipitated that takes years to resolve. Dorothea Brooke is an outstanding heroine; Middlemarch is filled with characters that are vivid and true, comic and moving. It is one of the greatest novels in the English language. 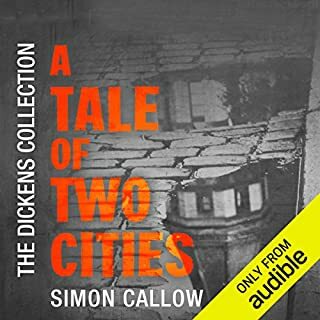 I have been an audible listener for close to five years now and this is the best book I have ever listened to. I hated this book in college and,if it hadn't been for a friend who suggested I try it again,I would have continued to hate it. I now say pish on my earlier self, this is a fantastic story and George Eliot is an insightful woman whose perspective on life is timeless. But the very best part of this listen is Juliet Stevenson. Oh my, what a narrator: I may be forever spoiled by her mastery. My favorite characterizations were the stuffy Englishmen whose voices were so perfectly captured that I was in awe each time I heard them. This is a must read. 199 sur 206 personne(s) ont trouvé cet avis utile. Loved Middlemarch and Juliet Stevenson! This book has been on my to-read list for years. This year, I read a a very positive review of Juliet Stevenson's narration in Booklist and decided that the time was right...and I loved it! Without a doubt, she is one of the best narrators I have ever listened to - ranking up there with Jim Dale, George Guidall and Scott Brick. Plus, Middlemarch, which had been highly recommended to me by friends who knew I was a fan of Jane Austen, was wonderful. It's a big, big novel, but it really is a timeless classic, full of observations about people that still ring true today. Give it a go...you won't regret it. 117 sur 124 personne(s) ont trouvé cet avis utile. I have purchased Middlemarch read by a different narrator before and simply could not listen to it. It was boring, and very long. Well, when I have learned that Juliet Stevenson has produced this book, I have purchased it right away and was not sorry. 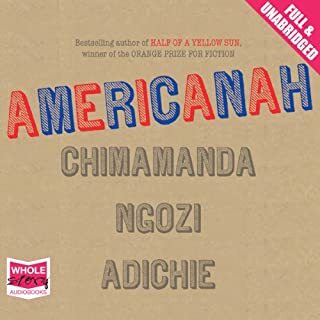 Amazing skill of the narrator brought all the characters alive and made this 19th century piece of literature very relevant in our modern life. George Elliot was one sharp woman and knew how to develop her characters. Brilliant! 110 sur 119 personne(s) ont trouvé cet avis utile. Listening to it being read -- so very beautifully by Stevenson -- allows the listener to absorb the many dimensions of this classic. There is the subtle humor and the witty and insightful political and social commentary. Then there are the calls for the liberation of women, not only on a social level, but urging women to recognise their own position in the society of the 1830s and respond even if it only within the confines of their family. The main heroine, Dorothea, is remarkably portrayed: she could be a woman of 2012: she is ruled by a confused idealism, wanting to contribute positively to an unequal and unfair society and work towards higher philosophical understanding of the nature of existence. At the same time, she has tragically unrealistic expectations of a marriage where she believes she can help achieve her partner's fulfillment rather than her own. The male characters range from self absorption and selfishness, directionless laziness, caring partners: again these men are recognisable today. There is so very much in here. But to return to the reader, Juliet Stevenson. 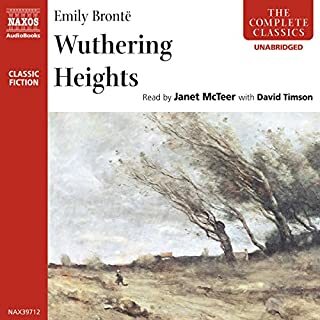 She has a wonderful voice, her acting out of characters is superb -- and most of all, she shares her understanding of what Eliot was endeavoring to convey in this apparently ordinary story about ordinary people in an ordinary little town in England. 53 sur 57 personne(s) ont trouvé cet avis utile. Ordinarily, I would begin a review with an evaluation of the actual book rather than the narrator but in this case, Stevenson was SUCH a standout that I had to begin with her. To say that she inhabits each character fully is to sell her performance short. I remember Stevenson from the movie version of Emma in which she plays Mrs. Elton so wonderfully snarky and politely arrogant. But this narration shows her talents to a greater degree. Not only does each character have a different sounding voice, but one can practically hear their thoughts as Stevenson brings them to life. What is so perfect about this amazing performance is that it makes a somewhat challenging novel much easier to manage. There are so many characters and so many story lines that Eliot brings together so beautifully (eventually) that a reader can easily lose track. Several of the characters are not easy to like, a few are like-able at first and then become less so, some are not like-able at first and grow on you. It is a lot to keep up with. But the story is well worth the investment. Eliot is wise and funny. Her take on the relationships between men and women is insightful. Well-deserving of its status as one of the greatest books ever written. I gave the story only 4 stars because there isn't much that actually "happens." It is not an exciting story. The story is really in the every day happenings of the characters. That is where the true genius lies. 35 sur 38 personne(s) ont trouvé cet avis utile. 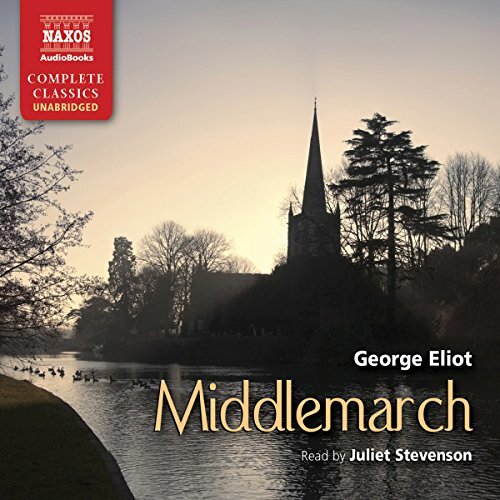 Where does Middlemarch rank among all the audiobooks you’ve listened to so far? 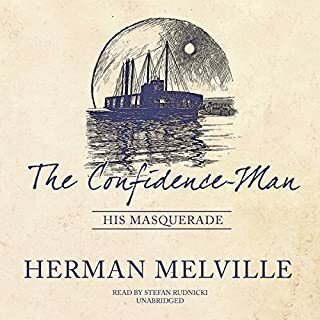 One of the best audiobooks I've listened to. Juliet Stevenson is always fantastic. This might be my favorite of her narrations, though. Who was the most memorable character of Middlemarch and why? Rosamond. Stevenson (and Eliot) depicts her in her complexity brilliantly. If you're considering M-march as an audiobook, ignore reviewers recommending other narrators (a few of which I've listened to as well), GET JULIET STEVENSON. 23 sur 25 personne(s) ont trouvé cet avis utile. I tried to read Middlemarch in highschool and again in university but could never sink in. What was missing for me was Juliet Stevenson's narration. Her skill makes this masterful story much more accessible and a pleasure to experience. Eliot's wit sparkles through in this performance. My first exposure to Middlemarch was as a teenager when my older brother read it to me. He was studying it at University and I was still in school. I loved it and the book became one of my favourite books after Pride and Prejudice. Then I watched the BBC serialisation of Middlemarch when I was a bit older and it meant more to me and I loved that too. But the Juliet Stevenson version is quite simply the one that was meant by George Eliot. It is masterpiece. I will treasure it for ever. The fact that one single human being can interpret the nuances of tone and texture of so many personas is remarkable. I am not sure who is the more remarkable artist; George Eliot or Juliet Stevenson. I fell in love with Juliet Stevenson when I happened upon a small English movie called something like deeply madly and I knew she was a star. Indeed I would. It's entertaining, it's funny, it's engaging, and informative. There is a reason that this is the classic of classics. It kept me in a daze for a week, couldn't go anywhere without it! What other book might you compare Middlemarch to and why? 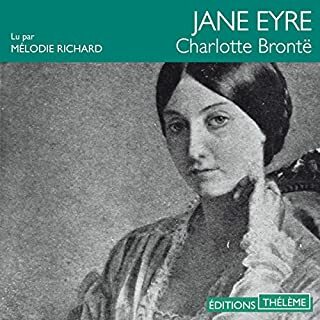 Everything by Jane Austen and the Brontës of course, the dry humor is akin to that in E.M.Forster's works, and it also reminds me of the drama of Henrik Ibsen and August Strindberg. But this is not only great literature - it's incredibly funny too. What about Juliet Stevenson’s performance did you like? Juliet Stevenson is just perfect. All the sociolects and dialects of the characters, the understated humour and the hyperboles fit perfectly into her way of performing this story. Brilliant. All the hilarious dialogues between members of the rural community speculating on this and that, one character sillier than the next, and Juliet Stevenson's fantastic dialect interpretations of the Middlemarchers. 14 sur 17 personne(s) ont trouvé cet avis utile. Das Buch liefert interessante Einsichten in englisches Leben und Klassendenken im 19. Jahrhundert. Die Sprecherin ist schlicht genial. Ihr könnte ich sogar beim Vorlesen des Telefonbuchs zuhören. One of those rare works that educates, inspires and elevates the soul. What kind of woman must this author have been? Wunderbar erzählte Gesellschaftsdarstellung der Menschen einer fiktiven englischen Stadt im 19. Jahrhundert. Die Beziehungen der Menschen, Aufstieg, Liebe, Untergang und Verlust sind mit genauem Blick und feinem Humor sehr spannend vorgetragen. Die Sprecherin findet für alle Charaktere einen eigenen Stil, vielseitig und klar erkennbar. At first, I was very pleased with Stevenson's performance. After a short while however it became clear, that her repertoire was exhausted after 4 or 5 characters and everyone startet to sound just like everyone else. Since there are so many characters in this novel, this problem became annoying quite soon. The storyline is what it is. Eliot leans more towards the longwinded side of things, at times it's quite repetitive. When you read this book, you start to scan over pages when there's noting going on. Having to listen to it in every last detail is quite a different experience, and not a good one I'd say. There is this part about the Middlemarch election, which bored (and at the same time annoyed) me quite a bit.